Police in Indonesia have apologized after using a snake to interrogate a man over stolen cellphones. 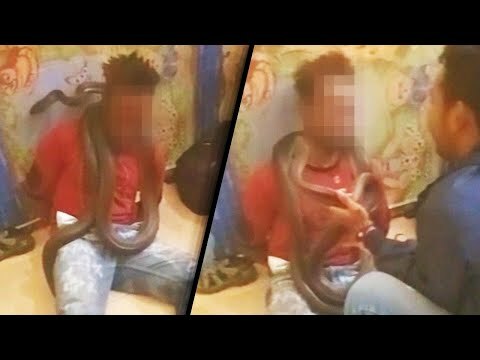 In the video, the man’s hands are bound behind his back while the snake coils around his body. He screams in fear as a person can be heard asking how many times he has stolen phones, according to a report. A police spokesman said the Jan. 15 incident is being investigated, calling it an “unprofessional process” and “unfortunate.” The local police chief said the snake was not venomous and tame.